Last month I wrote about how to add ribbons to a cherished hardcover book. Some places will sell you ribbon for a buck a yard. 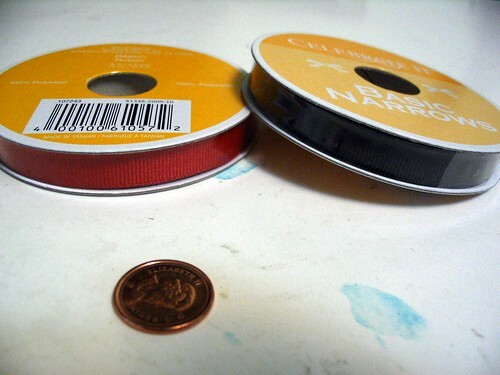 But if you head down to Michael’s, you can buy a 12-yard roll of 3/8" ribbon for $4. posted by Jonathan at 2/20/2010 07:19:00 p.m.